More than 90 percent of the market-rate households owned at least one car, while less than half of the low-income households did. And almost 70 percent of market-rate housing residents used a personal car for most of their trips, while 66 percent of low-income households primarily used transit. Without equitable planning and policies in place, major transit investment can generate new demand for development in areas that quickly transition from economic afterthoughts to high-end enclaves of housing, retail, and offices catering to higher-income earners while leaving behind low-income households who could most benefit from improved transit access. Transit agencies may then find themselves the victims of their own expansion, setting in motion a speculative real estate market that delivers high-rent land uses but few new transit riders. Denver isn’t unique. Economic displacement has been identified as a factor in declining transit ridership in Portland, in a pattern that’s suspected to apply in other cities with rising costs of living. 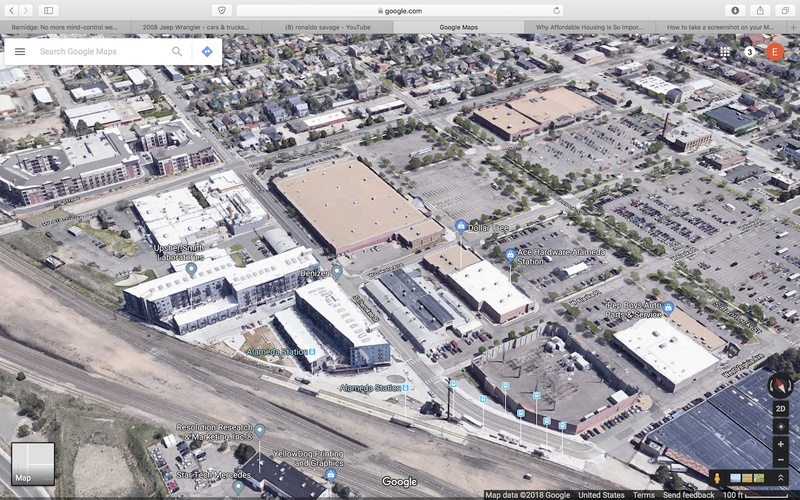 Identifying financing gaps inherent to eTOD, Enterprise Community Loan Fund partnered with a number of other public- and private-sector investors to create the Denver Regional TOD Fund. One investor, the Colorado Housing Finance Authority (CHFA), has tailored its low income housing tax credit (LIHTC) program to benefit eTOD projects, while another, the City and County of Denver (CCD), has contributed considerable resources to create or preserve affordable housing in station areas, has reduced parking requirements in station areas, and promotes complementary transportation demand management principles in project development. Using a combination of those methods, Denver was able to deliver 65 new homes at its 38th & Blake Station affordable for households making 30 percent of area median income. Someone needs to educate the little yimby mob in the Bay Area. They talk out of both sides of their mouth, promoting TOD that completely misses the mark and furthers gentrification, all the while giving lip service to those who will never afford to live in same TOD. Public funds will never, never be available to subsidize housing at scale. What’s your answer? As with so much of urban design, this issue really comes back to parking. One reason why you see these luxury units near transit is that they are required to build parking in any case. Ax the parking minimums and you should expect developers to build less parking near transit, which in turn will attract residents who are more likely to use transit, regardless of their income. Their answer is that the solution to a shortage of housing is to build more housing. Build enough and it will bring the price down. We are already seeing this dynamic in NYC, where a change in tax law has created a natural experiment. Apart from transit use, people who live in dense neighborhoods around transit tend to walk more, because dense neighborhoods have services within walking distance while sprawl neighborhoods do not. This study looks at only half of the issue. It also looks only at Denver, and results might be different in other cities. In the Bay Area, about 40% of all commuters who live within 1/2 mile of BART commute by BART. My take on that is that calling it TOD is just a way to get the housing built. The Yimbys in the bay area are pushing for more housing regardless of the TOD-ness or not. Again, much of this comes down to parking minimums. Once you have the parking spots in there then people are much more likely to use them. Parking minimums near transit in the middle of a housing crisis is just insane. Yes Ian….affordable housing is not the answer the answer lies in making it more expensive to own a car for those who live within a mile of a rail transit station. Axing parking requirements does make it more expensive to own a car while reducing construction costs. In theory, that gives market-rate buyers more choice: pay less + free parking but farther from the station, or pay less + paid parking but closer to the station. Problem with affordable housing of once someone has exceeded the income max, they still keep the unit. Effectively subsidizing the wealthy. “Can my rent be adjusted to increase or decrease if my income was to increase or decrease? Actually the station is at the bottom of the picture, and the abandoned K-Mart bigbox at the center was recently scraped for mixed use housing. Do you have the stats to back up that claim? Also, keep in mind that BART parking garages are usually maxed out by 7am for its massive car-centric suburban stations. This means people still use cars to get to the station regardless of the fact that they take the train. Look at all the supposed transit-oriented development near the two Dublin stations…strip malls and housing complexes filled with parking. These are hardly dense neighborhoods. In contrast, take Geary Blvd. in San Francisco…urban and dense yet no mass transit. In fact, a BART line could encourage even more density with height in this area, but BART remains hooked on building more sprawl-inducing stations. Wasn’t there an article earlier this year that looked at how BART increases property values for homeowners within a certain radius of a station? Given the housing situation folks are living wherever they can to find a reasonable place regardless of income or accessibility to transit. Chances are slim someone who lives walking distance to the Dublin BART station is going to take public transit to his/her job in Mountain View. Same for a resident in the Sunset district taking the L to Caltrain. Driving is the lesser of two evils. As for services, just look at SF. Sure, there are some services within walking distance in a dense neighborhood, but other than restaurants and specialty retail you still have to schlep whether it’s in your car, Muni or Uber/Lyft. You need to build more non-luxury appointment laden housing, as well as housing that is feasible for working class families with kids. We are getting thousands of units of TOD near where I live in Chicago, but “microunits” that costs $1500 a month for 400 sq. feet are not affordable housing in any kind of practical or systems-based sense of the term. The initial premise of Bart was to serve both outlying and inner areas of the Bay. Giving auto commuters a option to travel without complete reliance on a car was a primary goal. BART should spend more money and effort on serving the 90% of the Bay Area that is not SF. Reducing parking at these ‘suburban’ stations is counterintuitive to the stated goal. Taxpayers are the ones who should direct the path of Bart priorities, not the density advocacy groups that represent but a small minority. Yes, I’ve heard the 40% claim many times from BART, and it took me less than a minute to confirm it using google before I posted that comment. Try it. The maxed out parking garages say nothing about how many people who live nearby commute using BART. What about a policy that would specify development density based on reasonable projections of transit demand? For example, a wealthier area might need to allow high rise buildings to be built near the transit stops to attain enough transit demand, since wealthier areas have fewer residents per sq. ft. of residential housing, and since as this article mentions, those wealthier residents use transit on a lower proportion of their trips. A less wealthy area might only need 3 story housing, rather than high rises, in order to attain the density needed to provide enough transit riders to maintain the stop. The poorer neighborhood has more residents per sq. ft. of residential space, and they use transit for a greater proportion of their trips. With this sort of policy, you attain the transit demand the the author of this article claims is the reason for wanting more affordable housing, but without the negative side effect of forcing hardworking people will to pay market price out of the neighborhood for the benefit of poorer people who can’t pay market price and who might get those desirable public housing slots by cronyism or corruption since if its not highest bidder getting to live there, what mechanism decides? Chicago is rife with examples of politically connected people getting Section 8 “supervouchers” enabling them to live in luxury buildings in the most desirable neighborhoods. It is not a good thing. I live in central Berkeley, and I either walk or bike everywhere. It is even more possible in SF than in Berkeley: take a look, for example, at John Holtzclaw’s studies of how much people drive in North Beach vs. other neighborhoods in the Bay Area. There is abundant data showing that people drive less in denser neighborhoods, beginning with Newman and Kenworthy’s studies. As it should be. The presence of transit means that a car is less necessary. Reducing parking requirements allows more “non-luxury” construction as there’s no need to try to recover $50k (or whatever the local number is) of sunk cost for each parking spot. We need more information, namely how much parking was provided at the projects, before being able to really draw conclusions. Not having to build parking lowers the cost and therefore price (which we’ve already seen in actions: https://www.nickmagrino.com/blog/2018/1/30/when-you-dont-have-to-build-so-much-parking ), but precious few projects thus far have really been able to get away with not providing a lot of parking. 1. High end housing is still completely out of reach for people, even if the 10% of the building cost was in fact directly passed along to new owners ir renters. As with tax cuts for businesses, it’s by no means that savings is passed on to anyone but the owners/developers in the form of greater profit. These are good observations. A lot of Chicago’s most affordable housing is in the large vintage apartment buildings that have no parking and are very close to the L and buses. Note, too, the IMT Alameda multifamily apartment building north of Alameda within a close, if not all that enjoyable, walk of the station. D4 Urban has big plans for Broadway Park, as they now call it. The times they are a changin around Alameda Station. However, I don’t believe any proposed development will include affordable housing. A real missed opportunity for the City, RTD, and our constituents, in my opinion. A City can regulate parking through minimums (as many do, to ill effect), maximums (rare but more effective), or unbundling parking costs from housing costs (as in Seattle, most recently). Even if a City reduced parking minimums, project lenders will rely on appraisers to gauge how many parking spaces per unit “comparable” projects provide. By their nature, banks will hedge conservatively and include more parking than is likely necessary, particularly in a station area. So it’s not all the City’s fault. Cities can do more, but banks need to come around and developers need to make a stronger argument to reasonably reduce development costs through parking reductions. It takes a village. No surprise. In cities around the country government funding in the billions has been poured out to create transit-neighborhoods only to have the bulk of the new housing be luxury apartments where well paid occupants drive to work. This forced equation doesn’t pencil out. Worse yet some of the govt. money going to subsidize housing was robbed from existing transit budgets so that train & bus maintenance was neglected bringing the quality of service down and in some locals outright unsafe. Perhaps TOD developers should work with car sharing companies and have several vehicles occupy the minimum parking allotted in the building and that’s it. If people want to drive they can use a zipcar or car2go from the parking facility and if they choose not to then they can take transit. If you give them an option to conveniently store and park their vehicle they will take it every time. If guests come visit they can take transit to their friend’s place considering it’s near a transit stop. The K-Mart housing project comes with a 461-space parking garage. The money spent on the garage could have paid for a lot of affordable housing…. You can build one house – with a full complex for the family, or a lot of luxury style for one person. It’s all about choice. More houses, roads – less green area. The wealthy don’t all start out poor. Your claim that affordable housing is a subsidy for the wealthy is nonsense. Do you have an data to support this either on a national or state/local level? For example: how many units built with subsidization for low-income housing is now occupied by those no longer qualified? Very well stated. While transit is great for the urban core it can be even more beneficial to more distant neighborhoods. First and last mile access is critical for these stops and parking is one form of access. Bingo. It really goes to the investors but banks want to know when the project is complete that there will be takeout funding for their construction loan. Denver has adopted very low parking requirements in the downtown area. Doesn’t matter as free-market investors will build what they believe is important for their investment. It does indeed take time for land uses to change. Alameda is a perfect example. That said is has respectable ridership given that parking is absent. Like most of downtown or near downtown these are private sector investments and investors for such projects want parking included. If you want to develop you have to find funding – which has been easy for Denver but parking requirements are a part of the investment deal. Given that ongoing demand has these project filling up fast it’s hard to blame the developers for being successful. Yup, Broadway Park master plan looks impressive. ‘IMT’ was developed by Wood Partners, one of the early entrants to Denver’s apartment boom. Not the best but solid projects which they’ve generally sold off fairly quickly. IMT bought the project while it was still being leased up. I wouldn’t say that as there are about 150,000 new single-family homes already permitted to build over the next 3 years on Metro-Denver’s suburban fringe which except for the DIA Line are nowhere near public transit. A 2015 study here found that new housing on Metro-Denver’s suburban fringe built between 2000 and 2014 was over 700% greater than the number of new housing units built over the same time frame within 3 miles of downtown Denver. Another 2015 study found that 70% of all Metro-Denver employment commuting was suburb to suburb and did not involve the central city, with RTD doing a very poor job of serving suburban crosstown demand adequately too. Again, not in Florida, so I suspect this is similar everywhere that HUD funds are used.